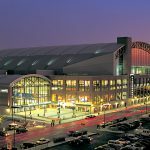 Berries News · Dec 30 Berries @ Banker’s Life Fieldhouse Tonight! Multiple Teams · Dec 19 Berries hoping to stay perfect as they battle the Braves tonight in the Bowl! Fresh off of 2 consecutive trips to the state finals, the Logansport Berries gymnastics team begins their 2015-16 campaign tomorrow with a pairs invitational at LaPorte High School. Start time for the meet is noon our time or 11:00 am LaPorte time. Best wishes to our gymnasts as they begin their quest for a state title. Multiple Teams · Dec 18 Berries battle the Broncs for 125th time @ Crawley tonight!